Linda Friedman is on Wendy’s WOW List of Trusted Travel Experts for her expertise and connections in East Africa. 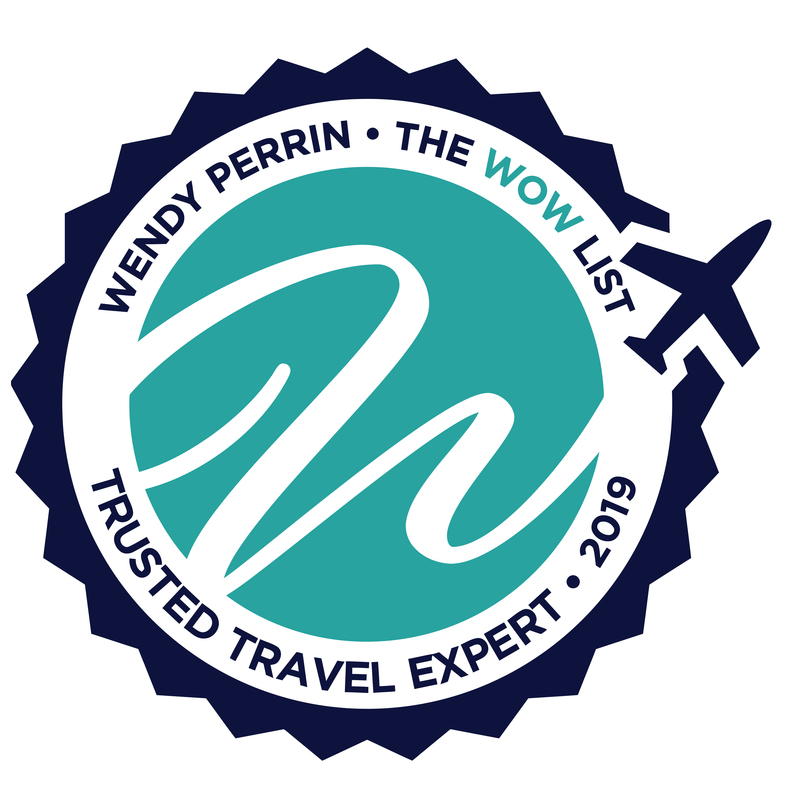 The WOW List is a collection of the best trip-planning destination specialists around the world, based on Wendy’s rigorous testing and vetting of them as a traveler and journalist, and based on feedback from her well-traveled readers. Here is proof that The WOW List works. The reviews below are from real travelers who’ve taken trips that were arranged by Linda and monitored by Wendy. Don’t miss Linda’s Insider’s Guides to Gorilla Trekking in Rwanda and Uganda and Safaris in Kenya and Tanzania. We were late in booking this trip but Linda was able to get us great accommodations and amazing guides. Everything went very smoothly and we felt well taken care of down to the smallest detail. Her staff in Africa had the highest regard for her and we were proud to be associated with her. Linda Friedman is perfection. She planned a 10 day trip for my wife and I with nothing left to chance. Her people on the ground were excellent including David, our guide in Amboseli, and Wilson, our guide in Kichwa Tembo. Lodging was perfect. Time in each camp was perfect. Interim arrangements in Karen and the Boma in Nairobi were perfect! In fact, both my wife and I had the best massages ever at the Bomas spa when we had a few hours to kill. Linda even thought to give us a free cell phone to use. I told her we would never need it but we had an issue at home and it sure came in handy. I would have zero reservation recommending Linda to plan a safari to Kenya. We have only the highest praise for Linda! Linda planned a trip to Kenya this past summer for my husband and myself, our second trip to Africa. With both an office and phenomenal staff on the ground in Nairobi, Linda not only had personal experiences and relationships with every place we went, but her up-to-the-minute knowledge of both the events we wanted to see (migration) and those we wanted to avoid (security concerns, especially since we were there during the election) was impressive and reassuring. In fact, she and her organization were there to assist us every step of the way and address any issue that arose (and a couple did) on a moment’s notice. 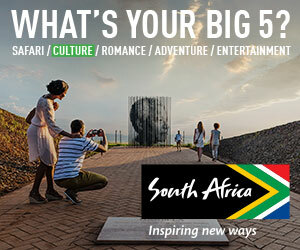 Having been to Africa before, we had some sense of what we wanted to do and the kinds of places we wanted to stay. From the start, Linda was extremely responsive and spoke to me for as long as it took to describe to me in detail what she recommended and to answer my many questions. She also – and this is to me a very big plus – did not mince words in providing her opinions of places or lodges I asked about. In the end, we went with all her suggestions, visiting four locations after a brief stay in Nairobi: Ambeseli (Tami Lodge), Chyulu Hills (Ol Donyo Lodge), Lewa Wildlife Conservancy (Sirikoi) and Masai Mara (Angama Mara). Each was different and so very special in their own way. The lodges all had fabulous views and the people were extremely friendly and totally accommodating. At Tami Lodge, the elephants spent hours at the waterhole “spa” giving themselves and each other mud baths and showers — a very entertaining sight. Ol Donyo and Angama Mara were both exceptionally striking, perched high up on the cliffs overlooking the vast plains beneath. At Ol Danyo, our room was itself wide open to nature (and we did have a nighttime visitor) as it was only enclosed by three walls. Sirikoi, however, was perhaps the most special. It is hard to even put into words what it is like to be sitting outside on the veranda having breakfast right across from the watering hole, watching mama and baby elephants eating and stripping bark from tree branches, zebras rolling in the sand, and baboons skipping along the edge in an atmosphere of virtual silence, sunshine and a gentle breezes. So serene, yet so breathtaking. The lodge is also completely self-sustainable, with all meals – which were the best we had (including one specially arranged for us out in the bush) – coming from the gardens that are cultivated on site. They even get their charcoal by processing the branches the elephants have stripped of bark! The most amazing experience, of course, is the opportunity to observe and photograph the wildlife. For this, the drivers and guides Linda arranged for us were the best. They not only were able to find spectacular sightings, but managed to get us there before or after other jeeps found out about them. In Masai Mara, Linda arranged for us to be guided by David, a safari guide who works just with her (and was also with us in Nairobi), and was, without a doubt, the best of the best. David has spent his life learning about, observing and being around wildlife, so much so that he was able to predict where the animals were going to be or what the animals were going to do before the animals knew it! Because of his perceptiveness, we were in the right place at the right time for some very special viewings. Overall, the trip was just fabulous and we highly recommend Linda. I say this as someone who has been to all seven continents, worked closely in planning trips with numerous travel experts, and asks a lot of questions in doing so. Linda answered them all with aplomb and provided us with a spectacular and safe adventure. Linda was simply amazing. From the first contact, she responded quickly and with great advice. I will always be grateful to her for recommending that we go to Rwanda to see the gorillas. I was so impressed with the people of Rwanda (and the gorillas were pretty amazing too!) Everything on our trip flowed perfectly, thanks to her careful planning. We left a camera in Rwanda and she has arranged for another client to bring it home for us. This was a long, complicated trip and it was fabulous thanks to Linda. Linda Friedman planned an amazing trip for our daughter, her boyfriend and my husband and myself, this past July. My daughter wanted to see animals in Africa and did we see animals! We saw all the big five, lion, hippo, rhino, elephant and leopard. We saw 105 different species in all, including three types of Giraffe, two types of Rhino and even Cheetahs! We were lucky enough to see a lion kill, something that few guests see, and did not expect to be so lucky. Our accommodations were wonderful, all transfers went smoothly and the guides were extremely knowledgeable and personable. We were able to see three different parks, Amboseli, Lewa Conservancy and the Masai Mara. The Great Migration was on at the Mara, and we got to see hundreds of thousands of Wildebeest. We had the opportunity to travel from Nairobi to Amboseli via a Land Cruiser, this was not a solely fly over trip of Kenya! Our tented camp at Amboseli was true glamping. I don’t think our accommodations at Sirikoi in the Lewa Conservancy could be topped! The most luxurious stay we have ever had. Linda arranged our stay in a two bedroom cottage, that was to die for! The views at Angama Mara were incredible. We were a little nervous as our trip was right before the elections, but we felt safe at all times. I can’t recommend Linda enough. We had an absolutely unforgettable trip to Africa. I traveled to Kenya in June 2017. Linda and her staff were amazing and exceeded my expectations at every step of my journey. I’m used to planning my travel myself, and it was so nice to be able to relax and not have to worry about a thing! I saw incredible wildlife at both of the camps Linda chose for me and had an unforgettable all-day horseback ride with bush-catered breakfast and lunch. I treasure the images from my trip and would not hesitate to book through Linda again. Linda and her team were out of this world. Their passion for Kenya is most evident. The concern and care for us was top notch. I cant believe anyone could do better. Wow, I can not say enough how wonderful our trip was through Linda Friedman! I was in Ethiopia for work in March and had a relatively short time schedule for travel; however, I knew gorilla trekking was at the top of my list. Linda has an amazing ground team. Our guide/driver for Kigali was fantastic–extremely knowledgeable about the history of Rwanda and very professional and timely. I would use this same guide again if I could! Linda worked on a Kigali hotel within our budget which we appreciated. And I can not express how WONDERFUL the mountain gorilla view lodge was where she placed us for our hike. I would, without a doubt, go through Linda for future trip planning (and will likely do so next March when I will return to Ethiopia for work). You can not go wrong with booking through Linda and her team. She and her team are the BEST!! She and her team are the BEST!! A little background—my wife really does not like animals nor “camping”. However, after one phone call with Linda, my wife was convinced to let Linda plan a safari for us in Kenya (2013). The overall safari experience left us both speechless. Other than an unrealistically tight time frame, we really did not give Linda much guidance from which to plan. Since we do mission work in Ethiopia, we had a very specific time frame in which we could travel, so Linda created an itinerary encompassing 2 amazing camps, ending with the andBeyond Bateleur Camp in the Masai Mara. Linda’s ground teams in Kenya—guides and drivers—are phenomenal. In 2014 we were returning to Ethiopia but only had 4 days to spend after our mission work. We called Linda and asked her what would she do if she only had 4 days? Without hesitation, she recommended gorilla trekking (as well as golden monkey trekking) in Rwanda. She arranged the permits and secured accommodations in Jack Hanna’s cottage for us within days. Again, everything was OUT OF THIS WORLD: the ground team—drivers, guides, greeters—were amazing. The emotional impact of our experience in Rwanda was tremendously impactful and the gorilla trekking was absolutely surreal. Linda had arranged for us to have a “special” guide, whom she knows personally, and who has over 30 years experience working with the gorillas & trekking. Definitely a once-in-a-lifetime experience made so memorable through Linda’s efforts, along with her knowledge of East Africa, “connections” in the country (we spent an informal evening with the first Rwandan Secretary of Tourism), local cultural exposure, and professional team. Linda makes sure you get an authentic flavor of the area in which you travel and she is unbelievably committed (socially & financially) to providing employment and other support for the local communities. BTW, my wife still has no interest in domestic pets but she is “sold” on animals in the wild!! We will not hesitate to use Linda in the future and highly recommend her/Custom Safaris!! We toured Kenya this summer on a tour arranged by Linda Friedman of Custom Safaris. I have to say that Linda is one of the most patient people I’ve worked with, as I kept changing the criteria and she rolled with the punches very well. We didn’t know exactly what we wanted to do, other than to see animals in Africa in a particular timeframe. Linda gave us suggestions, we gave her feedback, she fine tuned things and made suggestions. I have to say that our trip was THE BEST EVER, far exceeding our expectations. Linda’s company has staff in Nairobi that were tremendous, helping us navigate the craziness of the airport and city. Fantastic people. Her company provided private guides for our visits to Amboseli and Samburu. My wife and I have science backgrounds and are very interested in the details of the animals and plants that we saw, our guides were perfect matches for us. The third camp was Rekero, which Linda recommended highly. We used the guides from the camp. This was one of the most wonderful experiences we have ever had. We had thought that this was going to be our one trip to Africa, probably not to return, as there are other places we want to visit. After this trip, we are thinking that in another year or so we want to go back. New places to see – but we will include Rekero (Masai Mara) on the repeat trip as it was so fantastic. And we absolutely will work with Linda and the Custom Safaris crew. The best customer service, both before the trip and during, that I’ve ever experienced. Linda Friedman, owner of Custom Safaris, designed our Kenya visit with her finite and intuitive bank of knowledge and experience. Nothing was left to chance and no detail was overlooked. Her Kenyan team saw that every plan was carried out to its specifics and even added some unexpected surprises that were over the top. We’ve travelled the world and have experienced some rather incredible moments, that not withstanding, our Kenyan Safari – planned and delivered by Linda Friedman – stands as the most exciting and memorable trip of our life. Have you returned from a trip arranged by this Trusted Travel Expert? If so, please leave a review of your experience so your fellow travelers can decide whether this travel planner is right for them. Include your name (because anonymous reviews are not fair), the month/year of your trip, the destination(s) you traveled to, and your advice for anyone who is considering hiring this travel planner. If you’d prefer to share your review privately, email Wendy.